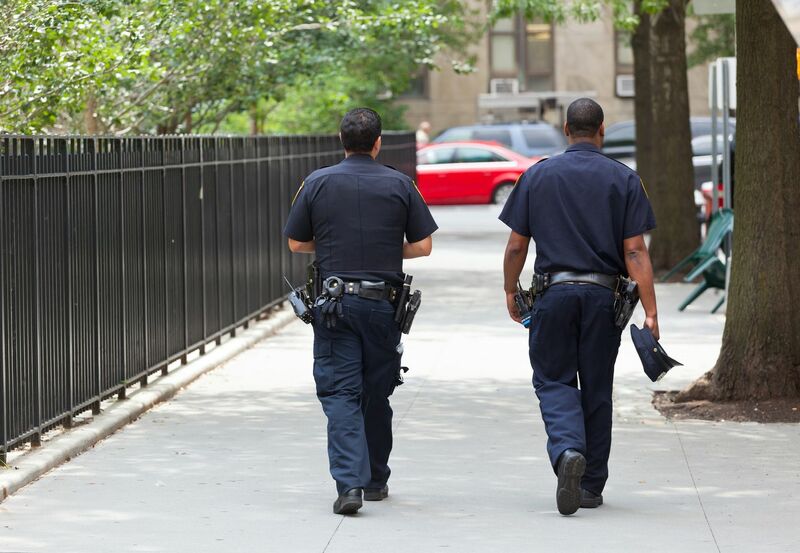 New laws requiring NYPD officers to identify themselves and receive consent before conducting some searches are set to go into effect Friday — and police reform advocates are worried the de Blasio administration is already trying to wriggle out of the rules. “We have very big concerns about the NYPD already violating the letter and spirit of the law and we have concerns that unless there’s some course correction, there’s not going to full implementation that’s in compliance with the law,” Joo-Hyun Kang, director of Communities United for Police Reform, told the News. The legislation, dubbed the Right to Know Act, languished in the City Council for years amid opposition from de Blasio before a compromise version was passed last December. One law requires police to inform people that they may refuse to be searched in some instances when a police officer does not have a warrant. A second requires officers to identify themselves with a business card during many street stops — though traffic and low-level stops were removed from the final bill. De Blasio held a hearing on the bills the same day as Erica Garner’s funeral, infuriating reform advocates, and never signed the bill; instead, he returned it unsigned, allowing it to lapse into law. And now, in a letter to de Blasio sent this week, Communities United for Police Reform says there is “mounting evidence that the NYPD is actively refusing to comply” with parts of the law. The legislation required the department to work with communities in creating the guidance for officers on how to follow the law -- something that has not happened in a meaningful way, Kang said. “Unfortunately, we didn’t get a meeting with the NYPD until the very end of September, and we’ve done one call with them since,” Kang said. In those meetings, the department did not seek any input from the group, according to the letter — and has since told the advocates none of their recommendations or requests would be included in information distributed to officers before this Friday. In a statement, the NYPD said it will “fully comply with the Right to Know Act when it takes effect this Friday,” and insisted it had looped in community groups. But Kang said the guidance she has seen — in the form of patrol guide language, training materials and operational directives — did not inspire confidence that police will actually be seeking informed consent to searches. “The way in which officers are being trained or are getting guidance on how to get a consent search is not really what we would call voluntary, intelligent consent,” Kang said, noting people should be informed that they have the right to decline the search and then asked whether they do or do not consent to it. The guidance also doesn’t make it clear that people who don’t speak English can’t give their consent, nor does it tell officers to use the department’s language hotline, she said. The bill allows for certain exceptions — like bag checks at a subway entrance, which are also exceptions under federal law regarding searches. But Kang said the NYPD has broadened those exceptions beyond what’s in the law. “The exceptions they are describing to officers are overly broad and they’re actually just not accurate,” she said. And the draft Patrol Guide section advocates have seen does not make clear the identification bill requires officers to state the reason for their encounter in covered stops, she said.